The model allows you to go from floor plan view, to dollhouse view and drop into view it as a walking tour of the home. 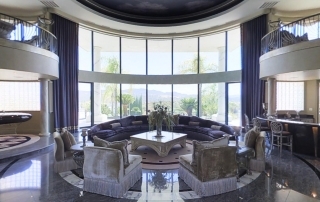 StayVisit was chosen to capture a home once owned by actor and comedian, Eddie Murphy. 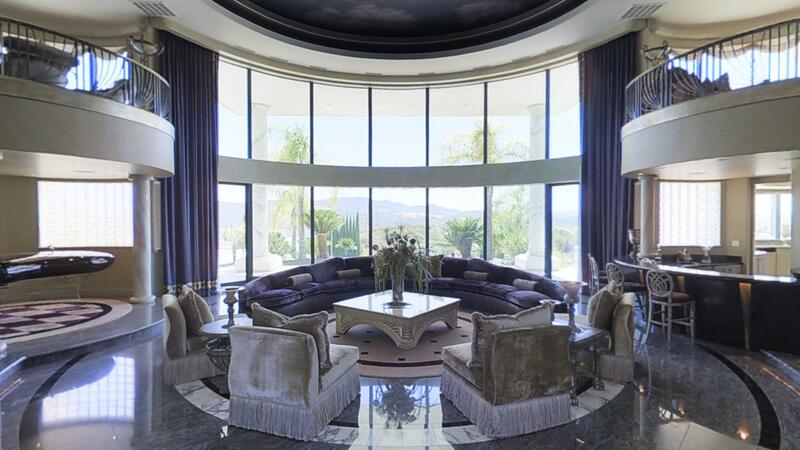 This magnificent hilltop estate overlooks Folsom Lake and is located within the prestigious Los Lagos Estates community in Granite Bay, California. 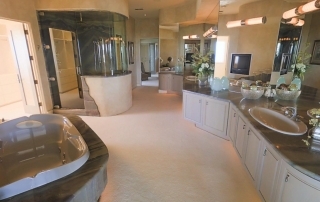 The 12,000 Square Foot residence posed several challenges that we were able to overcome. First, the shear size of the estate meant the amount of scans required to adequately capture the property would easily exceed the technologies capabilities. 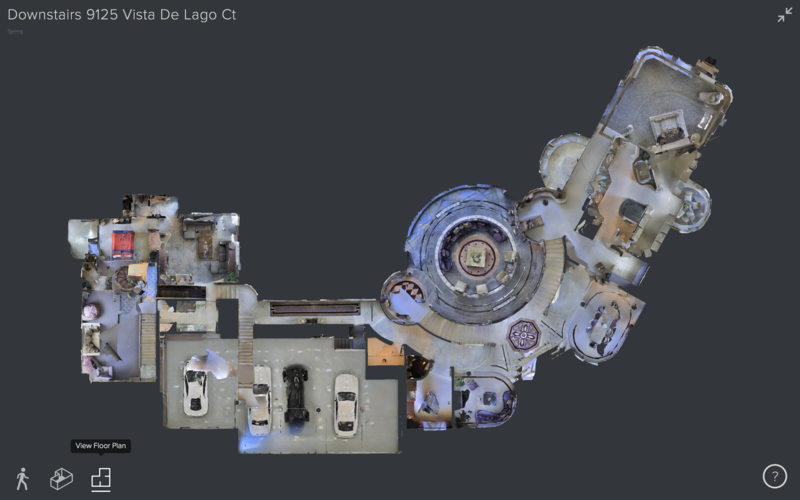 We decided the best way to handle this was to split the property into two parts, the first capturing the lowest floors as well as the upstairs portion of the south wing of the home which encompasses the homes luxurious master suite. 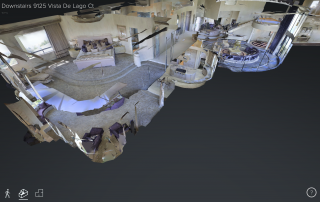 The second scan, captured the upstairs of the north wing which is where the maids quarters, billiard room, and themed children’s bedrooms are located. 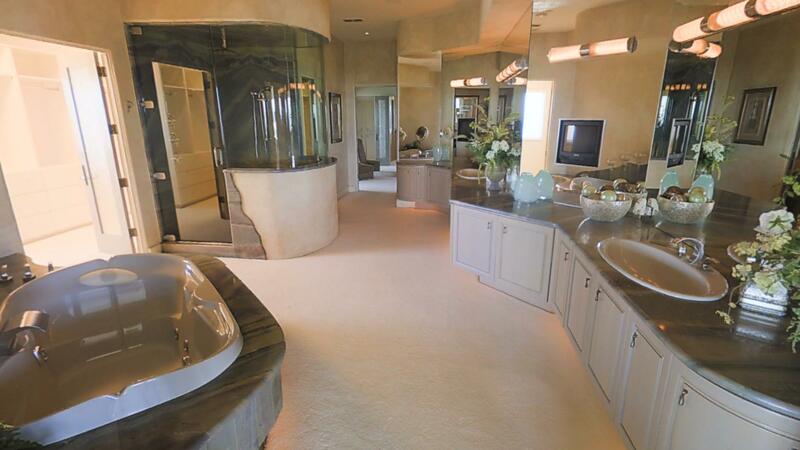 The second challenge we faced was the complexity of the floor plan combined with the abundance of windows and mirrors. The complexity of the floor plan required extra scans to capture all sides of architectural pieces, furniture and small nooks and rooms within the home. Windows and mirrors made getting proper scans using the cameras infrared sensors difficult and required multiple close together scans to capture adequately. One room actually took over 40 scans to complete. The third major challenge was time. Specifically proper sunlight. 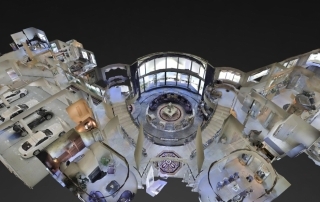 When viewing the model, it should appear virtually seamless when moving from one end of the home or one scan location to the next. In reality, these scans may have been taken hours apart. In order to accomplish a seamless look, scans need to be taken when the sun is approximately in the same position for all shots. This means we were limited to our times that the home could be scanned. Because our camera works best out of direct sunlight, we began scanning rooms on the side of the home away from the sun first, and worked our way over as the sun passed overhead. We were able to capture rooms without windows at night. 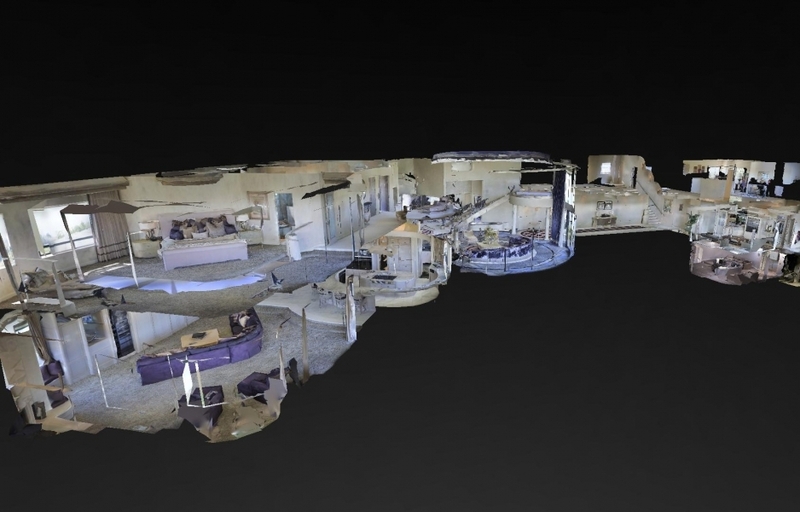 After two days of work, and more than 600 scans total, of which 380 were used for the final project, we had completed our models for this project. The results, while not ideal as it had to be split, are stunning. Please feel free to check them out at our <a href=”http://stayvisit.com/sample-projects/” target=”_blank”>Sample Projects</a> page or you can view them along with additional property information here at the property’s listing website at <a href=”http://9125vistadelago.com/3d-tour/” target=”_blank”>9125vistadelago.com</a>.